Last week, Nutritional Development Services of the Archdiocese of Philadelphia (NDS) held its 11th Annual Blessing of the Summer to kick off the Summer Meals Program. Reverend Monsignor Daniel J. Sullivan, President of the NDS Board, presided over the blessing at Holy Redeemer Chinese Catholic School. The Summer Meals Program is federally funded and operated nationally by the United States Department of Agriculture (USDA). In our area, it is administered by the Pennsylvania Department of Education. This year the NDS Summer Meals Program runs from June 19 through August 25. Last summer, NDS’ Summer Meals Program served approximately 415 sites throughout the greater Philadelphia metropolitan area. It provided 182,400 breakfasts, 174,800 snacks, as well as a combined 402,800 lunches and suppers to children who otherwise would have struggled to obtain nutritious food sources. 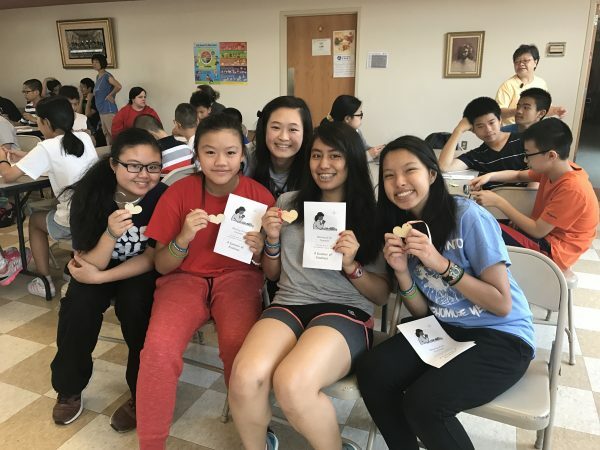 This summer, Holy Redeemer Chinese Catholic School is one of over 400 summer meals sites partnering with NDS to provide healthy meals to children. Participating sites offer children aged 18 years or younger, a box lunch and choice of breakfast or snack. Most Philadelphia and many suburban neighborhoods qualify for the program. To sign up for the Summer Meals Program or for more information on Nutritional Development Services, please call Ms. Brooke Mullen at 267-262-8901 or the NDS Summer Meals Hotline at 215-895-3470 option 1.